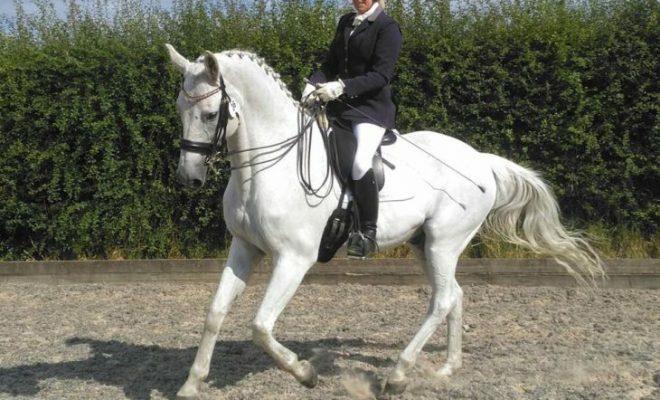 Collected walk first appears in dressage tests at Medium level in the UK, at Third level in the US and continues right through to Grand Prix. In this article, we explain how to ride collected walk so that you can prepare your horse for work at the higher levels. Collected walk – what is it? When the horse reaches a higher level of training, his improved balance allows him to remain on the bit while moving forward with his neck arched and raised and with his poll as the highest point. Crucially, the clear four-beat rhythm of the walk gait is maintained. The horse shows clear self-carriage without relying on his rider’s hand for support. The horse’s hind legs are engaged with a hock action that clearly demonstrates increased carrying power. In the collected walk, the horse’s joints are more flexed than you see in the medium walk. Every step covers less ground but is more elevated and active than in medium walk. 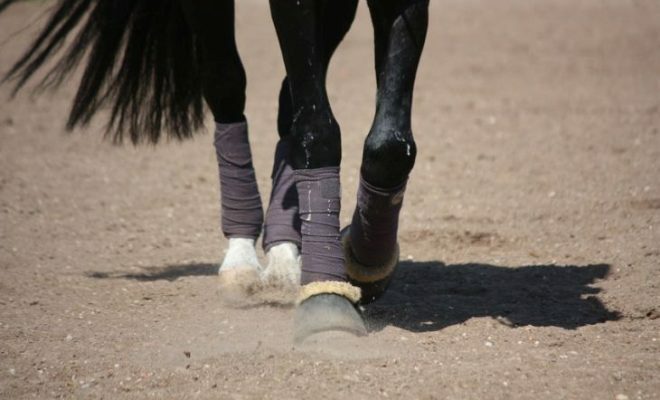 Your horse’s hind feet should touch the ground either just behind or in the prints made by the front feet. 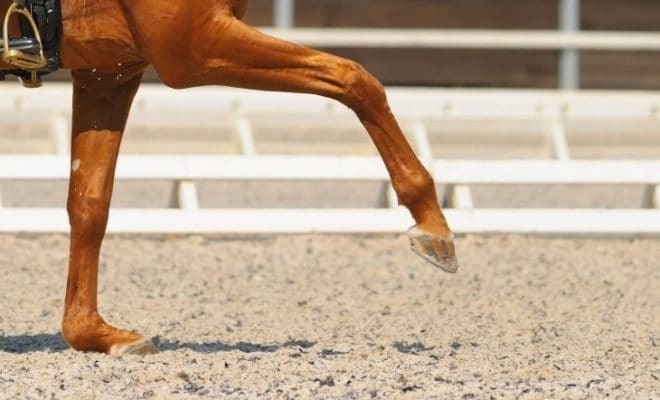 To ride pirouettes correctly, you will need to be able to collect your horse’s walk. What is the judge looking for in a good collected walk? When judging collected walk, the judge wants to see a clear, correct rhythm. The horse should be relaxed and supple through his back and topline so that the steps can cover ground. The steps should show good activity and forward momentum. The collected walk is very easily susceptible to rider-induced faults. Too much hand from the rider often causes the horse to become tense and corrupts the correct sequence of footfalls and rhythm of the pace. That is a severe fault and will be harshly penalized by the judge. When the contact is too strong, the horse will become tight and too short in his neck, often dropping behind the vertical. The walk will also lose activity so that the steps become flat and lacking expression. 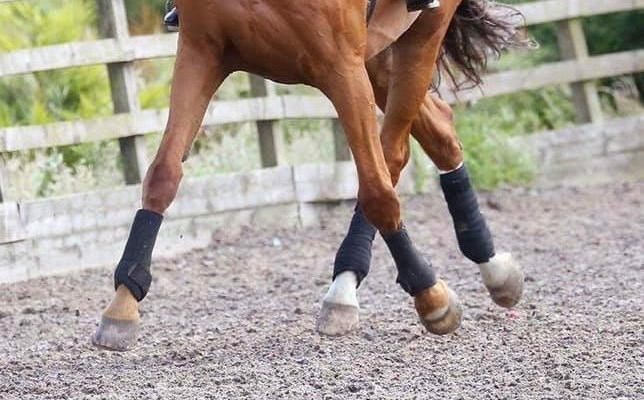 To avoid the risk of your horse developing the faults outlined above, it’s vital that you don’t introduce the collected walk too soon, especially if your horse has a naturally good, “big” walk. Wait until your horse can confidently collect his trot and canter before you begin training the collected walk. The collected walk should be ridden from the rider’s seat and leg, never from the hand. Keep your hand soft, and be prepared to allow a long or giving rein to keep the horse from becoming tense and tight through his back and neck. Sit up straight and “heavy” in the saddle with your weight on your seat bones, and be careful not to rock to and fro or drive the horse with your seat. 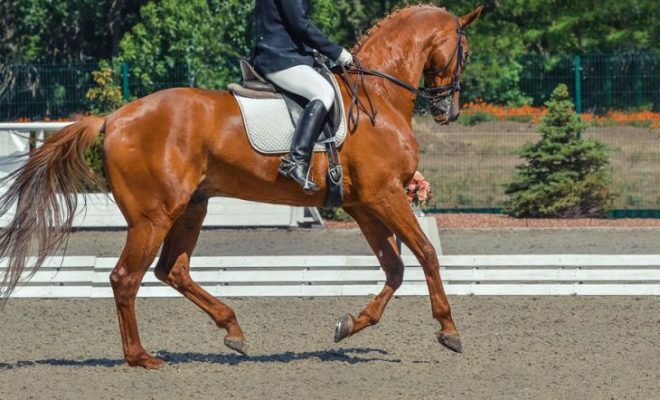 You should use your weight, core, and back to hold the horse between your leg and hand while encouraging him to shorten his steps and march forwards confidently and with increased activity. If you find that your horse is losing impulsion and is simply walking more slowly or ambling along with shuffling steps, use transitions between the medium and collected walk to keep him alert and thinking forwards. If the horse becomes tense and starts to jog, ease your hand and allow him to relax on a long rein before beginning the exercise again. 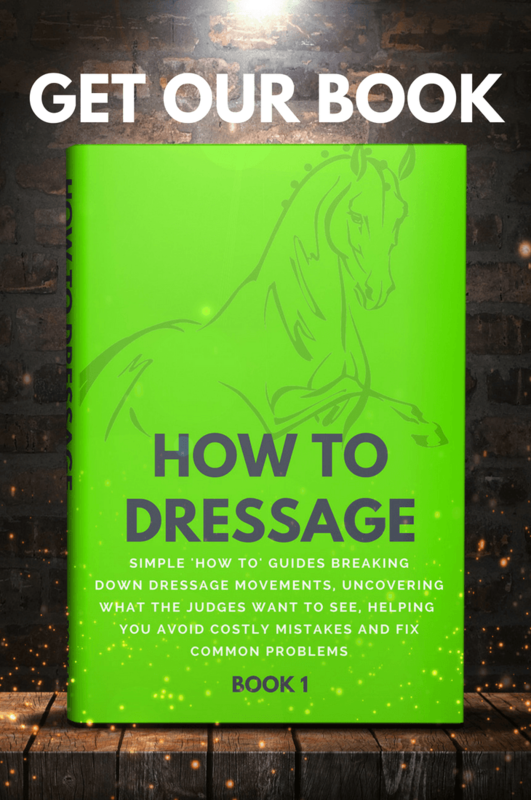 Remember that riding collection in all the paces is very tiring for your horse, so be ready to give him plenty of downtime and variety of work during your training sessions. The collected walk is not an easy pace to ride and train. You should wait until your horse can confidently be ridden in collected trot and canter before attempting to teach him to collect the walk. Use your weight, leg, and seat to collect your horse. Be very careful not to use too much hand, as this is typically the root cause of many faults in the collected walk. If you’re having problems teaching your horse to collect the walk, we’re here to help! Share your story with us in the comments box below, and we’ll do our best to help you.